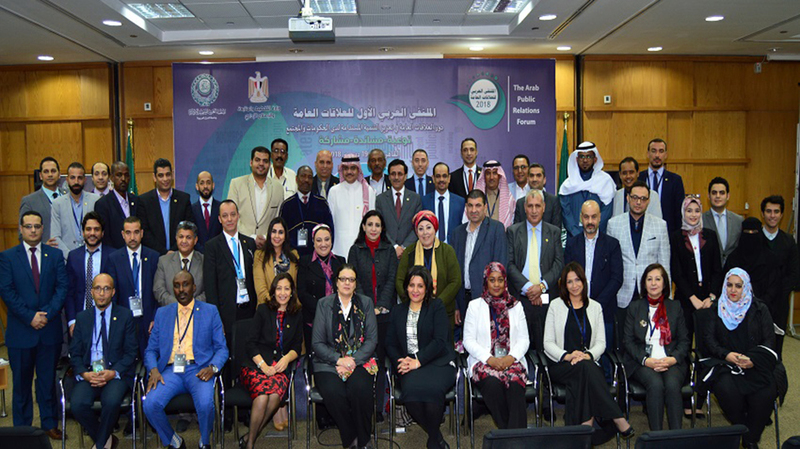 Lubna Abdel Hadi, director of the Public Relations Office at Birzeit University, took part in the first Arab Public Relations Forum, organized by the Arab Administrative Development Organization, from December 17-19, 2018, in Cairo, Egypt. Abdel Hadi chaired the third session of the forum, entitled “Traditional Public Relations Tools: Integration and Variety,” and presented a paper in which she explored the use of traditional and 21st century public relations tools at Birzeit University. In her paper, Abdel Hadi argued that the real public relations challenge lies within marketing distinctive content, whether on internet-based digital platforms or traditional media platforms. Abdel Hadi also pointed to the impact of information and communications technology on public relations plans and strategies. She noted that such technologies help public relations personnel make use of a multitude of data points that can be used to reinforce connections with the broader society and create new connections . The first Arab Public Relations Forum, held under the theme “The Role of Public Relations in Promoting Sustainable Development of Governments and Society,” focused on communications planning monitoring and evaluation, the role of public relations personnel as conduits between institutions and the society at large, and the importance of integrating electronic platforms in public relations planning.